Q: Will I be able to move my machinery if it is placed on a reinforced base foundation? Q: What is machine base foundation installation? Q: Why does my industrial facility need machine base foundations? Won’t regular concrete flooring be enough? Q: Is concrete a good idea for a driveway? "When it comes to the best in concrete contracting services, particularly in concrete pouring and design, Milwaukee businesses and homeowners choose Dornbrook Construction for all their needs." "Thanks Larry - You and your team did a great job, Pat and I are very happy and impressed with the work. I will give you a call with the install date if you're interested in seeing the press get installed. Matt Price, Director of Operations of Ultra Tool & Manufacturing, Inc. Germantown WI. 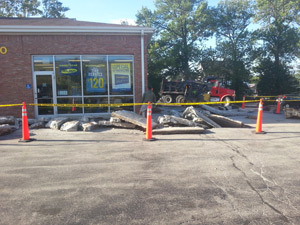 commercial concrete construction company specializes in the removal and replacement of existing concrete. We provide high quality, weather resilient slabs for businesses and homes throughout Milwaukee and surrounding areas. Our Brookfield concrete specialists meet individual project needs through high quality workmanship. We pride ourselves in using the greatest quality of products following strict industry standards to ensure successful completion of each concrete job. Browse our photo gallery of recent concrete construction jobs in Milwaukee and see the quality of work for yourself! 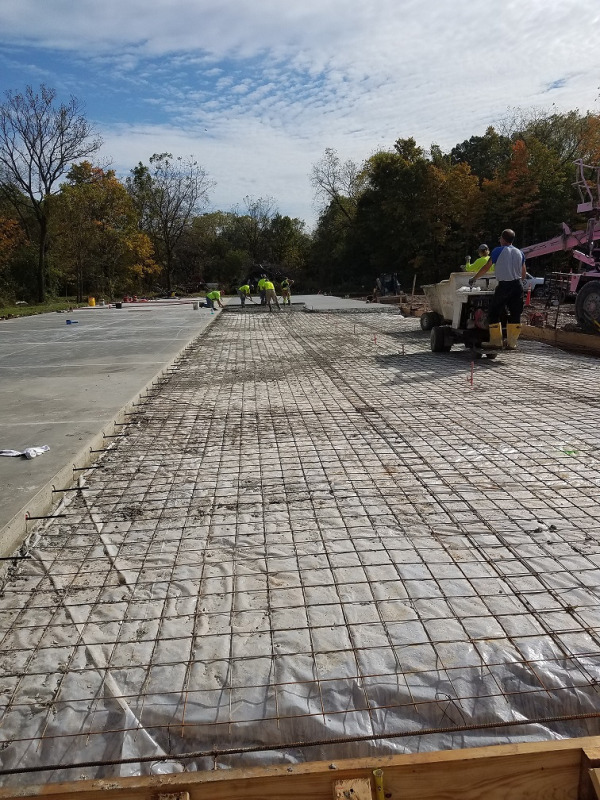 From commercial concrete installations to driveway replacements, our concrete contractors install quality slabs going above and beyond the highest expectations. Your work is your livelihood, which is why we do everything possible to install your new concrete efficiently and accurately. Our attention to detail results in superior concrete solutions for our customers. Unlike other Milwaukee construction companies, Dornbrook has an ongoing list of certificates and work experience to better serve you. Our A+ rating from the Better Business Bureau, qualifies our goals of exceeding expectations with every concrete construction service. Below are a few accomplishments Dornbrook Construction has gained over the years building the business to be Wisconsin’s best concrete construction company. To learn about all of our concrete certifications, view our full list of Wisconsin concrete Accreditations. Contact Milwaukee’s Best Concrete Construction Company today for a free consultation.